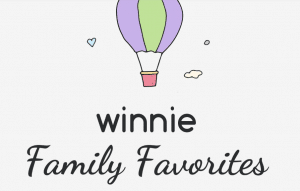 The summer is drawing to a close, National Family Fun Month is over, and the kids are back in school, but that doesn’t mean the family fun has to end! At Rab’s, we keep the fun going year round. 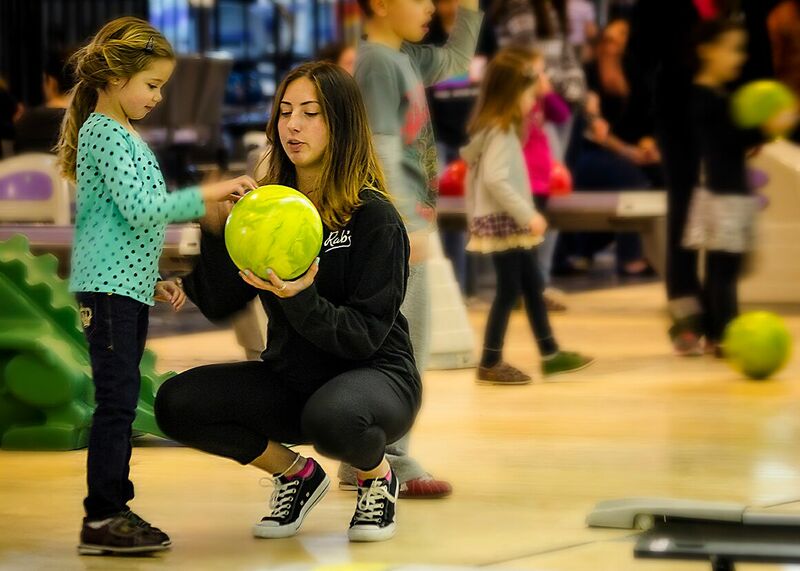 Bowling is a great activity for adults and kids alike, and at Rab’s, we have something for everyone. We rent bowling shoes ranging in size from a toddler 5 to an adult men’s 20 and offer a variety of bowling ball sizes, from 6 lbs to 15 lbs. We also have bumpers for kids who are learning how to bowl and dragon ramps for the little ones. 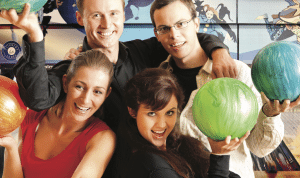 Join us for Open Bowling 7 days a week! We also offer Cosmic Bowling on Friday and Saturday nights, with an LED light show and your favorite music videos accompanied by black lights and neon. Want to take your game up a notch? 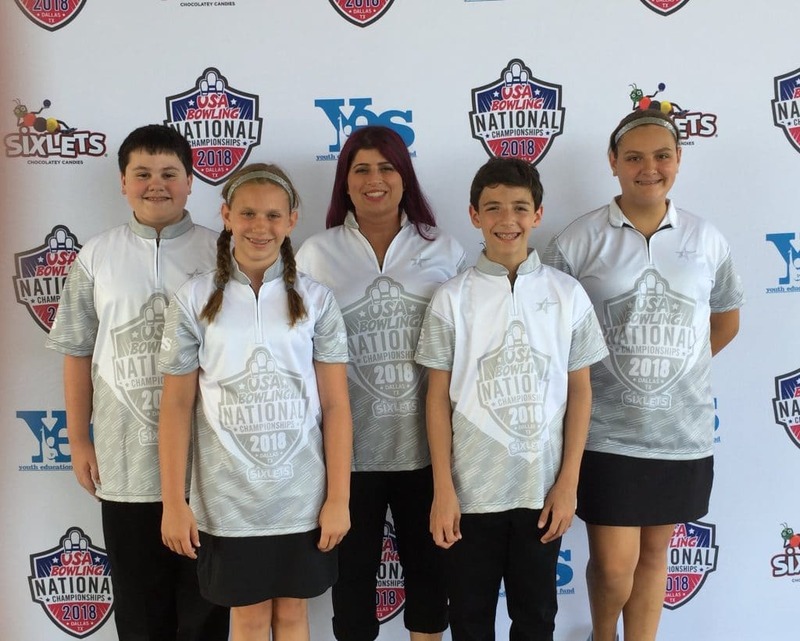 We host both adult and youth bowling leagues where you can test your skills and meet other bowling enthusiasts. But bowling is just the beginning. You can also head over to the Laser Maze Challenge to test your skills against your friends and family! Channel your inner spy or action hero by navigating your way through the laser beams in the shortest time. Don’t let the daily grind of work and school get you down. Make time for family fun and keep the good times going at Rab’s! Follow us on Facebook to stay up to date on announcements, events, and more. 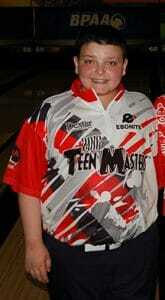 Victor Wilson rolled a 212 game to a 603 series in the Golden Oldies loop this week! Robert Pacifico lead all scorers with the games of 201, 206, and 224 en-route to a 631 series this week in the Golden Oldies Loop! Don’t Miss Rab’s Annual Bowlopolis Blastoff! 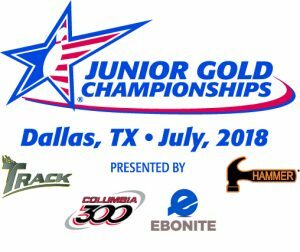 School may be approaching quickly, but there is still summer fun to be had! 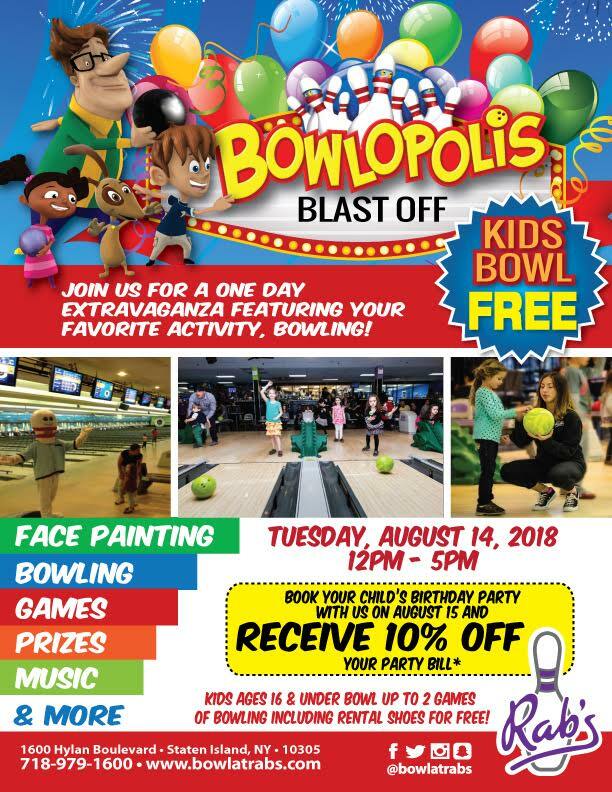 Parents, the team at Rab’s Country Lanes is excited to announce our Annual Bowlopolis Blastoff. Your kids will love the endless hours of fun at the bowling alley, and you will love how affordable the event it! 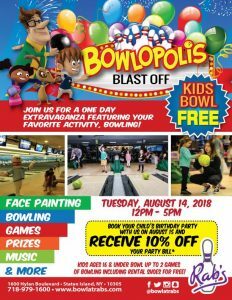 On Tuesday, August 14th, we are hosting our Annual Bowlopolis Blastoff! This event is catered just for you, our bowling lovers! From noon to 5 pm, kids ages 16 and under can bowl up to two games for FREE. This awesome special also includes free shoe rental. After your kiddos are done bowling, bring them to our face painting station, game station, and other fun surprises we are planning. We won’t be surprised if they have so much fun at Bowlopolis that they ask to celebrate their upcoming birthday at Rab’s Country Lanes. That’s why you’ll receive 10% off your birthday party bill if you book your child’s birthday party with us on August 14th! Customize your party at Staten Island’s best spot for children’s birthday parties (voted by silive.com). Our Annual Bowlopolis Blastoff isn’t the only fun we’re having at Rab’s Country Lanes this summer. We are also hosting a Summer Kids Special that takes place through September 7th! So, load up your kids and their friends and head to the best bowling alley in Staten Island! Don’t hesitate to contact us with your questions. We hope to see you for our bowling extravaganza and every day before and after the event!